Mizzle is a serie of map created with the latest features added to the game. The original purpose of these maps is to show what mapmakers can do and having fun. 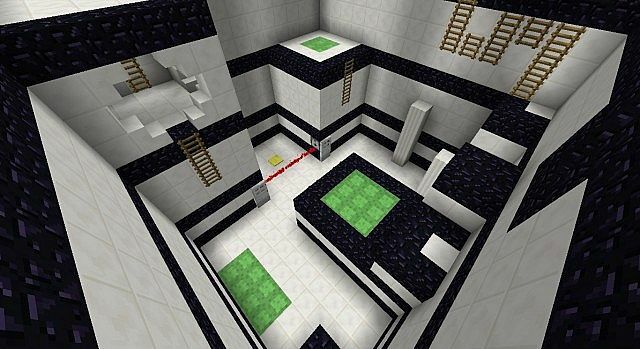 While you play the map, you're actually testing all new features added in Minecraft 1.8. There's no real link in the stories, you can play Mizzle II before Mizzle. The story: You're going to land in a Laboratory with a scientist, Dok. And you'll have to help him. While you're exploring the lab, you'll encounter some... weird situations. - The communicator: stay in contact with Dok. Right-click with it to call him and ask for assistance. - The clock: hold it to know how long you've been playing for. 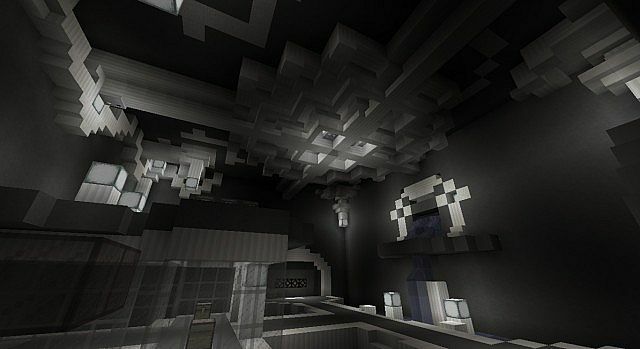 The map require Minecraft 1.8 and works only in SinglePlayer - Looking for a multiplayer map ? The language of the map is scaled to your settings. Check the translation's book in the lobby to see if your language is supported or not. For younger players playing in english, if you select English (UK) in your settings, swearwords are removed. 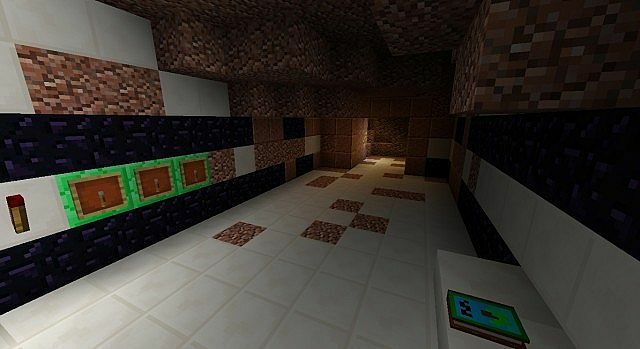 You'll need around 1h30 to finish the map... and more if you try to find the 9 nether stars hidden in the map! Each nether star can unlock a bonus level at the end. There's 3 bonus level for each difficulty (easy, medium, hard), so you'll be able to find something for you. Some parkour/puzzle can also be skipped using a nether star. 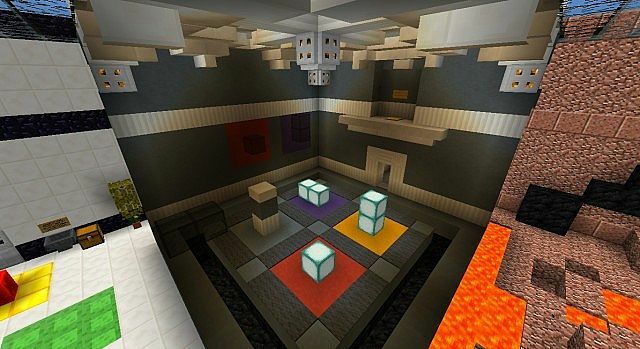 Did I mention that the map contain all new features added in Minecraft 1.8 ? No ? Well, it's done. Only new doors, new fences, and some of the new stones are not included. There's a resource pack bundled with the map which include custom models like a coffee cup (I didn't lie when I said the coffee was included). 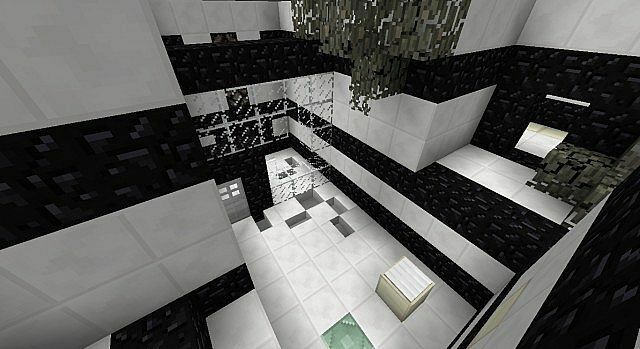 Support this map on PlanetMinecraft ! I have a new 'favorite' puzzle map! Astounding puzzle map. Gorgeous visuals and mind-blowing special effects. The story is humorous and provides a great encapsalation to the logic and navigation puzzles (include challenging, but not overly nasty parkour!). Like other well-respected puzzle maps, this one doesn't give you the rules nor the tutorial for each puzzle - figuring out WHAT to do is half the fun of figuring out HOW to do it. Wonderful map! (Sadly, my power went out while filming and I lost a significant portion of footage, so I can only tease viewers with the IN-GAME trailer, which is AMAZING). The Trailer doesn't work for me... I'm playing in 14w32d. When I step on the pressure plate, I'm TP'd somewhere and put in Spectator mode, but nothing happens and I can just fly around. Try to go in Minecraft 1.8-pre1. They changed a bit the /summon command in the latest snapshot so or you'll need to wait a long time or it will just not work. And if you are wondering why I'm using a /summon command for the trailer, it's to make long/precise delay with a falling sand in a cobweb. Pretty efficient. Thanks! Little review like this one are pretty cool. Got my first episode up! I swear man, you're some kind of wizard or something XD This map is amazing so far! I'll eat my hat if you don't learn anything in this map. This map was great! You really used the new 1.8 features very well. One thing that I'd suggest though: slightly more spawnpoints, so that you only have to redo the current room when you die. But everything else seemed to work very well to me, and the puzzles were very challenging. Oh, by the way, Minecraft froze while I closed the map, but I guess that that's probably just a prerelease bug. 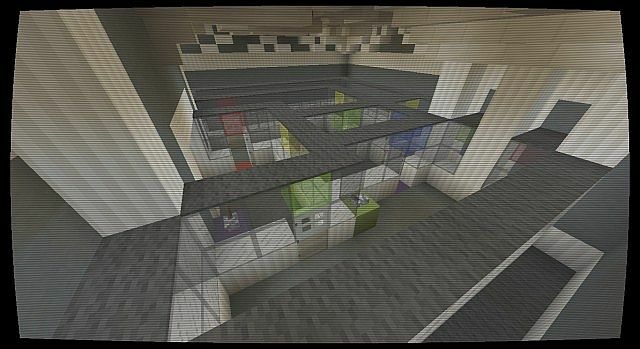 Anyway, I'd really like to see more maps like this when 1.8 comes out! Help! I've gotten to the teleport room after he told me to go there and call him but when I use the communicator nothing happens! Nothing? Did you click on a block with the communicator? Or just destroy the door in gamemode 1, that should work too. To avoid the problem: do not use the communicator in the teleportation room before you activate the third tower. It is not really a bug. When you leave the world minecraft remove the resource pack. It does the same thing when you change your resource pack in the settings. Well, I know a lot of "tricks" and I use 1.8 features in my creations since the first snapshots. You have to activate the 3rd tower. Using the com to talk to Dok tells me that I need to turn a "dial", but there doesn't seem to be a dial anywhere in the game at all. No idea how to progress from there. Also found a few bugs here and there - The TnT Minecart vanished after I died a second time via falling in the lava, Health Regen is entirely off, and during the com to Dok during the above part I'm stuck at, he says "ear" instead of "hear". Otherwise really enjoying my time with this! There's 3 item frames on the emerald blocks, no? In one of my test, I already encounter the case where the item frames pop off, but I've no idea why (and it never happen after). You can skip this part with this command if there's no item frames. The update will be available within th next hour. Thank you! No item frames there for sure, so I was very confused as to what I was doing, haha. Upload done. The update should be available in few minutes from curse. If you downloaded the map this morning (morning for me) or before, it's a bug I fixed. Looks to be really high-quality work. Excellent, I'll be sure to keep an eye out for future maps of yours.